As Certified IKEA Kitchen Installers, we know the ins and outs of IKEA kitchen installation. We work with our clients to ensure that the kitchen installation meets their expectations. We work hard to have your kitchen up and running in no time, while minimizing disruption to your daily routine. While you may think that a DIY kitchen installation is within your abilities, many who undertake the task find out - often too late - that they would have saved a lot of time, frustration and money by hiring a professional kitchen installer. 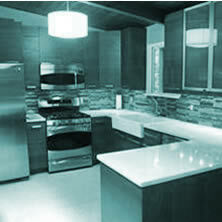 IKEALEY takes all the hassle and headaches out of kitchen installation. We do the work and soon you'll be sitting back and enjoying your new kitchen. As time permits, we can relocate kitchen light switches and outlets and prepare cooktop and oven hook-ups. As time permits, we can unhook plumbing in preparation for countertop installation, and re-hook or re-route plumbing after countertop installation is complete. 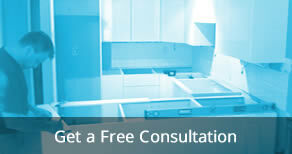 For a free installation quote, please call 604-807-1899. 1Kitchen electrical and plumbing are quoted separately from kitchen installation on a per job basis. We cannot always provide kitchen electrical and plumbing services, but do so as our schedule permits.